I've never been particularly good at breakfast. I'll admit, it's my least favourite of the three main meals. My morning diet typically consists of a piece of toast, maybe a cookie, possibly a piece of cake (I've been eyeing this for a while). Since breakfast is supposed to be the most important meal, one to give you the energy you need to carry out your day, I decided it was time to smarten up. I'm not a huge fan of cereal as I find it's too soggy but granola I love. I find, however, that it can be quite pricey to buy if you're looking for something without glucose-fructose, hydrogenated oils or any other nasties. Inspired by a friend of mine, I decided to make my own granola using wholesome, organic ingredients. 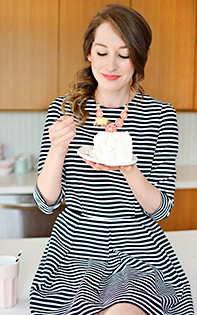 I found this recipe in the Quinoa 365 book and it's super satisfying served with milk, yogurt or even on its own. 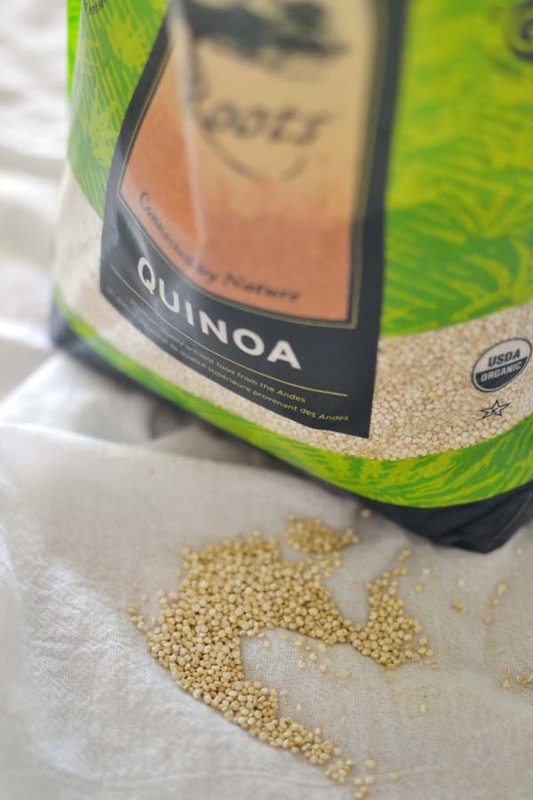 I love finding new ways to incorporate quinoa into recipes and this was the first time I used quinoa without cooking it. So satisfied with the result! 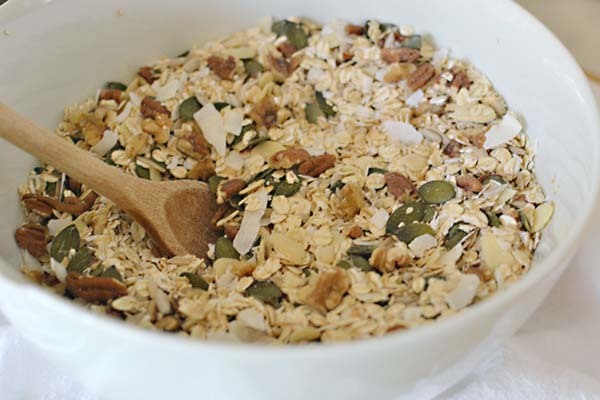 Measure the oats, almonds, pumpkin seeds, sunflower seeds, sesame seeds, quinoa, coconut and walnuts into a large bowl. Mix well. 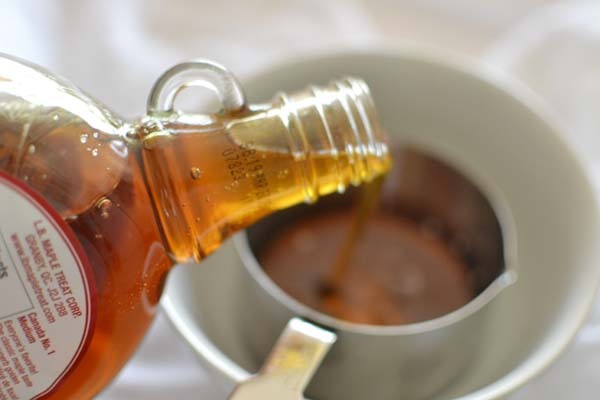 Combine the maple syrup and vanilla in a separate small bowl. Add the syrup mixture to the oat mixture and stir until evenly distributed. Sprinkle the cinnamon evenly on top of the mixture and blend well. 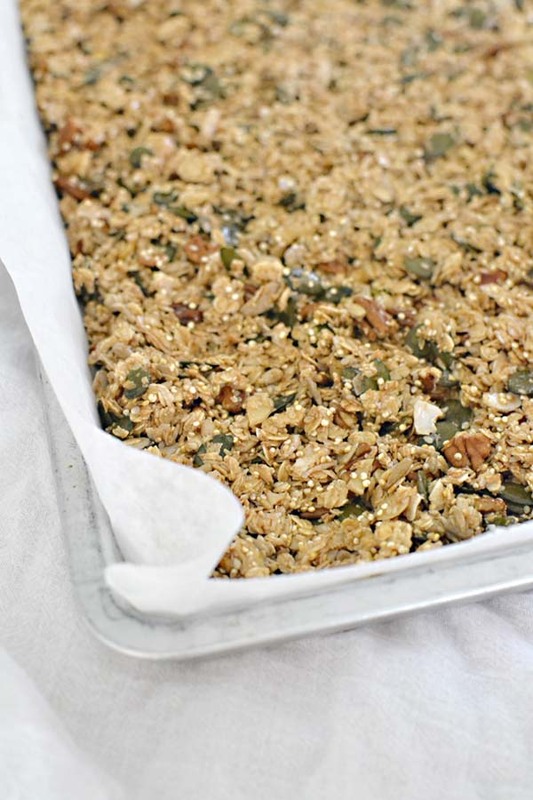 Spread the granola evenly on a large baking sheet and bake at 225ºF (105ºC) for 1 hour. Remove and set aside to cool. Toss in the cranberries and raisins. 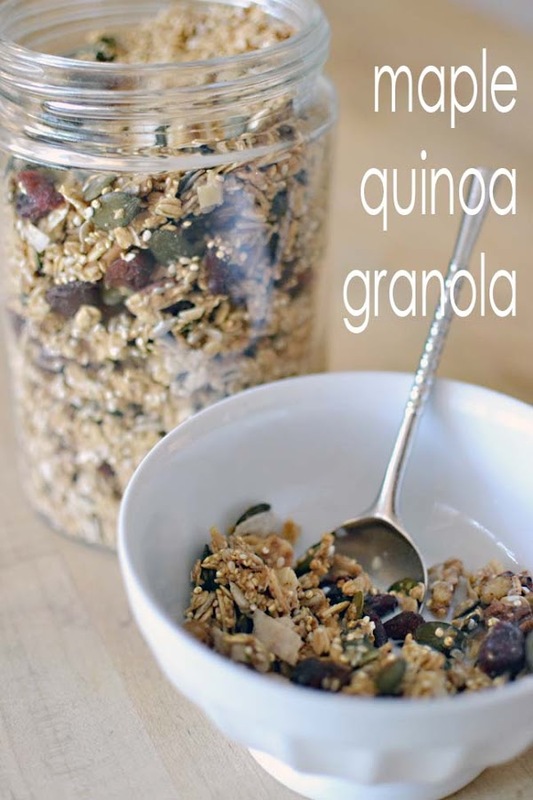 Store the granola in a sealed container in your pantry for up to 4 weeks.